The Company – Raw Brown Sugar Inc. 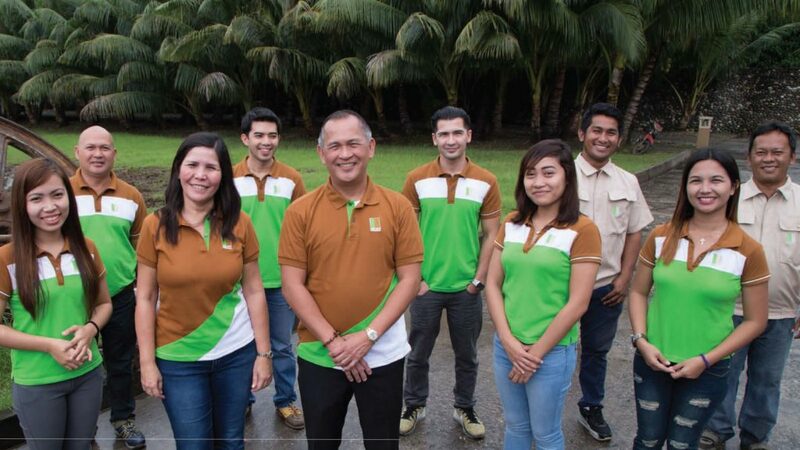 Raw Brown Sugar Milling Company, Inc., is a family owned corporation located at Raw Brown Compound, Pamplona, Negros Oriental, Philippines. Raw Brown was a mere vision of President and Chairman, Atty. Alejandro Florian O. Alcantara. Due to his hard work and persistence, this vision became a reality. Atty. Alcantara is a practicing lawyer and during his several years of practice, he was able to acquire around 200 hectares of agricultural land where he planted sugarcane. He was then a member of a certain sugar association that milled their sugarcanes to the two big mills in Negros Oriental Province. Sometime in 2005, Atty. Alcantara started to get concerned on how to protect his investment in the sugar plantation business as Asian Free Trade Agreement was moving forward towards its full implementation in 2015. After a lot of research, he finally found a solution to his problem…to build his own sugarmill that produces a specialty sugar called muscovado. Because its special characteristics in terms of aroma and taste, it sets it apart from raw and refined sugar where both it is directly affected by AFTA. Not so long after this realization, with the help and support from his family, Raw Brown Sugar Milling Co., Inc. materialized. Such materialization of the company has in turn provided meaningful employment and career opportunities to the people within its community. With the aid of Philippine government agencies like the Department of Science and Technology and the Department of Trade and Industry, the company is now serving the international market and it has continued to grow and progress ever since. Raw Brown is a food processing plant which produces organic raw brown sugar, also known as “muscovado”, which comes in the form of powder, syrup, cubes and rocks. These products are made purely from 100% sugarcane juice. The sugarcanes used as raw materials are home-grown, where the company adopts organic farming practices, free from harmful chemicals and pesticides. As such, the company can control the supply of these raw materials and only utilize freshly harvested sugarcanes which are milled for the production of its products. A by-product in the company’s muscovado production is natural cane vinegar which is made by the natural process of fermentation. Raw Brown products are certified organic in conformity with USDA, EU and Japanese Agricultural Standards (JAS) by an Italian certifying company, CCPB SRL. The company is also certified organic by Woorinong Company for its’ Korean market. Raw Brown started operations in 2010 and is currently serving both the domestic and the international markets. It exports about 90% of its production to US, Japan, Korea, Taiwan, New Zealand, Middle Eastern Countries, Malaysia, and Hong Kong; while 10% are sold in the Philippine domestic market. Growth of both international and domestic markets of the company had tripled since then. It is Raw Brown’s mission to provide competitively priced export quality muscovado and its by-products both in the domestic and international markets and to provide a meaningful employment to the community. It positively and significantly impacts the community as Raw Brown maintains a labor intensive organic sugarcane farm that employs farm workers whole year round instead of just being seasonal workers. Consequently, this improves the livelihood of the farm workers, which in turn, also enables them to send their children to school. Moreover, the company will soon operate a Renewable Power Plant from the biomass waste called “bagasse” that it produces. As a result, this will further generate a new kind of employment to the community by spearheading the industrial development in the town of Pamplona, a small municipality in Negros Island. Furthermore, the company strives and envisions itself to be globally recognized as a leading company in the production of export quality muscovado sugar and its by-products in the near future, providing a healthy alternative to refined and raw sugar. To be globally recognized as a leading company in the production of export quality muscovado sugar and its by-products. To provide competitively priced export quality muscovado and its by-products both in the domestic and international markets and to provide a meaningful employment to the community. Copyright © 2019 Raw Brown Sugar Milling Co. Inc. All Rights Reserved.